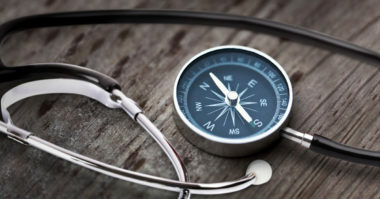 A brand’s healthcare marketing success rests in providing accurate location data on digital and social media channels. Along with enabling patients to find their location with ease, it also plays a role in gaining the trust and business of patients. Yet too many healthcare brands and providers make serious mistakes with their online location data. Brandify.com shared the following five errors that healthcare marketers must avoid to protect the health of their business. The most important NAP (name, address, and phone number) data a healthcare brand can provide is its full name, accurate address, and correct telephone number. All of these are vital for patients to reach them immediately. When healthcare brands have incorrect or insufficient NAP information, this results in frustrated patients and prospects, and could be potentially fatal. But by providing the necessary NAP data, people can easily find all of the information they need about a healthcare organization without the need to search other sources. Maintaining a general brand account for a Facebook profile is essential, but it’s just as important to create individual pages for each of the brand’s locations. Having individual location pages can improve a brand’s search rankings and yield greater engagement. But according to Brandify research, 60% of the local-social pages for large hospitals were lacking local pages from Yelp. Fortunately, Facebook makes it easy to produce individual “child” pages within a brand’s account that feature content that’s relevant to a specific location. Many healthcare brands are missing out on opportunities to engage with local communities due to inactive local or social pages. Having inactive page profiles produces the perception that the brand doesn’t care about providing enough information to help patients and creates a sense of distrust, which makes patients look elsewhere for care. Every day, thousands of online searches are conducted for medical conditions, symptoms, and cures. Sadly, many healthcare brands and providers are not appearing in search engine results on Google and Yelp because they’re not claiming the categories needed to rank for common questions. These categories are worthwhile for companies to highlight their products and services. By selecting relevant business categories, brands can increase their likelihood of ranking and reaching the right people, with the right message, at the right time. Recent research showed that 77% of all medical inquiries started on search engines, with most online searches occurring on mobile devices. After all, medical emergencies often happen away from home, making mobile the immediate search method for fast access to healthcare. As a result, Google favors brands that have optimized their mobile content. Brands that have yet to optimize their websites or local pages for mobile viewing are losing many opportunities to lead patients to their physical addresses. Locate the latest trends in healthcare marketing. Contact MDG Advertising.